Apartment prices in Israel are sky-high – but if you're willing to live in Beitar Ilit, and are one of 36 lucky families, you could score a brand new apartment at about half the going rate for similar homes in the center of the country. Among the policies adopted recently by the government is a requirement for building companies to dedicate part of the projects they build on government-owned land to affordable housing for middle and working class Israelis. 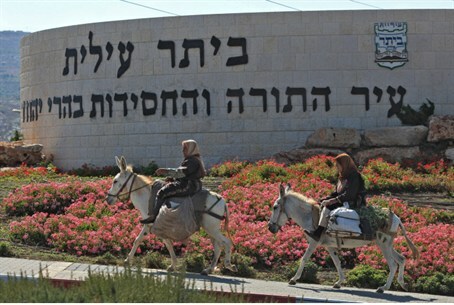 According to Ashdar's deal with the Israel Lands Administration, the company received a discount on the land and development costs in exchange for promising to build affordable housing. A number of similar projects, to be built on land leased from the ILA, are in the works. For example, a large project planned for Tel Aviv will include 2,100 homes that will be priced within the means of young couples. Altogether, the project, to be built on the last large undeveloped tract of land in Tel Aviv, will include 12,500 housing units. The Beitar Ilit project is being built by Ashdar, an Israeli construction company that has a long history of building affordable housing. Half of the 72 apartments in the project will be priced at a base cost of NIS 490,000 (about $124,000), all taxes included. Once a contract is signed, buyers will be responsible for building inflation costs (determined by a statistic published monthly) until the buyer's mortgage is approved and the full payment is made to the builder, so the final cost is likely to be between NIS 500,000 and NIS 550,000 ($125,000 to $139,000). For the price, buyers get an 85 square meter apartment, without any of the accoutrements common in “market rate” apartments, such as built-in jacuzzis and Italian marble countertops. However, the homes are about half of what an apartment of the same size costs in the center of the country. Most new apartments are larger than 85 square meters, and most have more extensive features than these homes. The balance of the apartments in the project will be sold at market rate. The discounted apartments will be available to eligible families based on Housing Ministry criteria. Ashdar has not announced how they will choose the buyers, assuming that more than 36 eligible families seek to buy the homes.